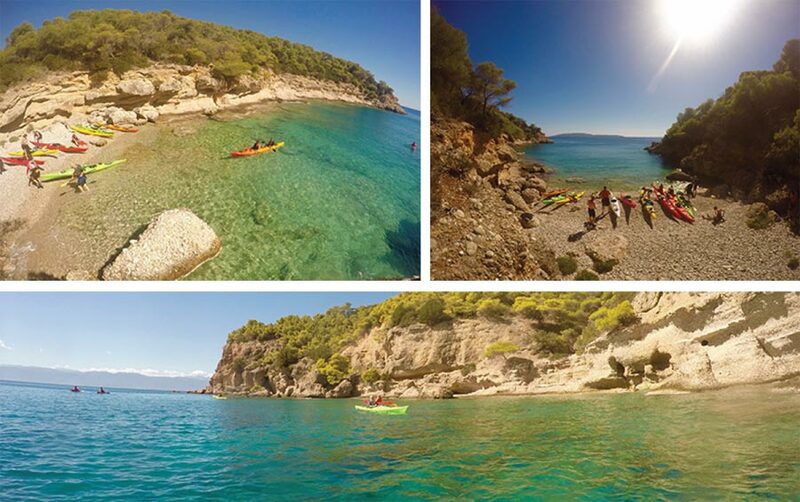 Our Wild Argolida Tour is the best wilderness experience you can enjoy just 1,5 hour away from Athens. With stunning views of the Natural Environment, with unspoiled wilderness from the beginning of our tour till the end, we guaranty you will be amazed on the beauty of Argolida, at its best. Paddling from a small beach close to Kranidi Town, we instantly start to admire the beauty all around us, the smells and sight of the dense vegetation which blends with the turquoise coloured waters. There are many hidden coves with pristine, secluded beaches to explore and enjoy, away from civilisation, maximising our chances to not see any other person throughout the tour. For us, there are no more words to describe a wilderness experience. You will have to just see for yourselves. The distance we paddle in this tour is flexible, giving us the chance to start the return depending on the group’s mood and experience level. So whether it is more relaxing or more paddling that you enjoy most, we can amend the program of the tour to the group’s needs.